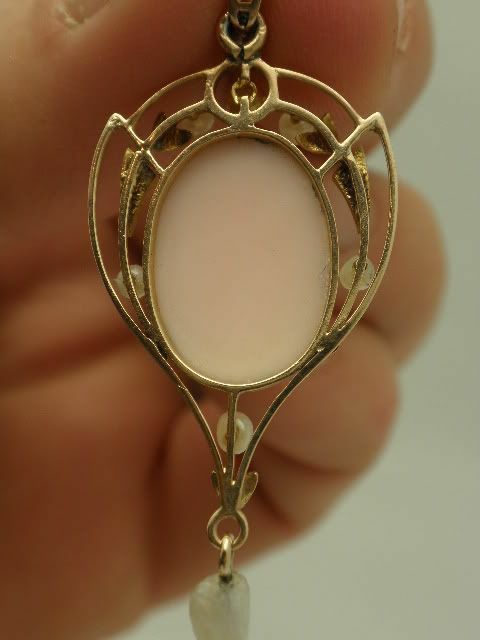 Antique Victorian coral cameo gold pendant. The pendant is not marked but tests for 14K yellow gold. The pendant is bezel set center with a hand carved pink angel skin coral cameo. The cameo measures 18 by 13mm. 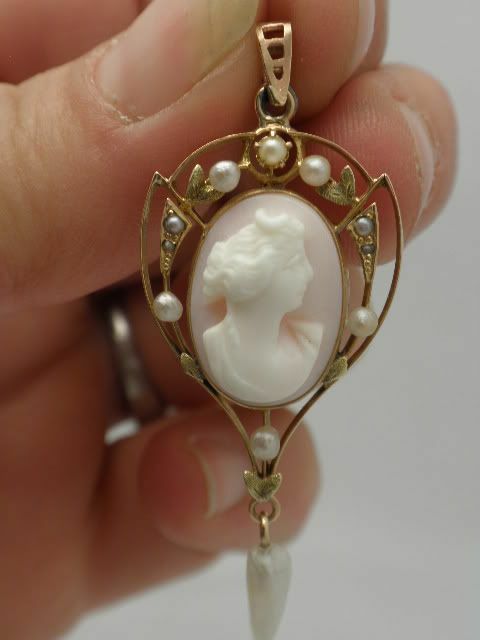 The cameo is framed by pearls. The drop off the bottom is a baroque river pearl. The pendant drop to bale measure just a hair under 2" by a little over 3/4" wide. The pendant weighs 2.8 grams gold. There has been a few pearls replaced and a new jump ring has been soft soldered for added security under the bale. The bale is rose gold. Altogether a fine example of a Victorian antique cameo pendant circa 1880.